Previous research has shown that animals can remember specific events, use tools and solve problems. But exactly what that means - whether they are making rational decisions or simply reacting to their environment through mindless reflex - remains a matter of scientific dispute. Cameron Buckner, assistant professor of philosophy at the University of Houston, argues in an article published in Philosophy and Phenomenological Research that a wide range of animal species exhibit so-called "executive control" when it comes to making decisions, consciously considering their goals and ways to satisfy those goals before acting. He acknowledges that language is required for some sophisticated forms of metacognition, or thinking about thinking. But bolstered by a review of previously published research, Buckner concludes that a wide variety of animals - elephants, chimpanzees, ravens and lions, among others - engage in rational decision-making. "These data suggest that not only do some animals have a subjective take on the suitability of the option they are evaluating for their goal, they possess a subjective, internal signal regarding their confidence in this take that can be deployed to select amongst different options," he wrote. The question has been debated since the days of the ancient philosophers, as people considered what it means to be human. One way to address that, Buckner said, is to determine exactly what sets humans apart from other animals. Language remains a key differentiator, and Buckner notes that serious attempts in the 1970s and '80s to teach animals human language - teaching chimpanzees to use sign language, for example - found that although they were able to express simple ideas, they did not engage in complex thought and language structures. Ancient philosophers relied upon anecdotal evidence to study the issue, but today's researchers conduct sophisticated controlled experiments. 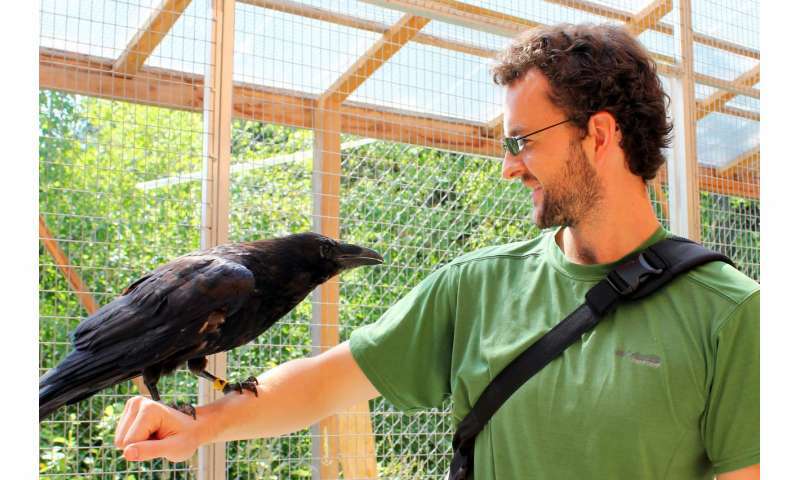 Buckner, working with Thomas Bugnyar and Stephan A. Reber, cognitive biologists at the University of Vienna, last year published the results of a study that determined ravens share at least some of the human ability to think abstractly about other minds, adapting their behavior by attributing their own perceptions to others. Matriarchal elephants in Kenya's Amboseli National Park were able to determine the threat level of human intruders by differentiating ethnicity, gender and age, suggesting an understanding that adult Maasai tribesmen sometimes kill elephants in competition for grazing or in retaliation for attacks against humans, while Kamba tribesmen and women and children from both tribes don't pose a threat. Giraffes are not generally considered prey by lions in Africa, due to the long-necked animals' ability to deliver skull-crushing kicks. Lions in South Africa's Selous Game Reserve, however, are reported to have learned that giraffes found in a sandy river bed can get stuck and even trip, making them suitable prey. His goal, Buckner said, was to compile the empirical research, "to see that we've accumulated enough evidence to say that animals really are rational in a distinctive way." Seriously? How was this even a question? If animals that think didn't think rationally, they would not survive. Quite right, commenters above. Thanks to our language concepts and ability to think abstractly we can build incredible castles of delusions. And do, and convince each other into believing in them. The question they should have asked is whether animals can think irrationally. And if so, to what extent. Otherwise, the authors start from our usual position of hubris of a kind: no other animal can do better in any intellectual category than the dumbest human. And then, surprise findings! Gorillas that learned American Sign Language did indeed make comments that were universally interpreted to be "abstract", and quite rational. Washoe would opine on the weather, and lament the loss of her pet kitten. About danged time! And yes they can think about thinking, as any pet owner can attest, because dogs at least spend considerable time reading humans (and other dogs in the house) and periodically try to deceive us or each other. How could a higher species function socially if the individuals weren't thinking about the states of mind of others?